Check out our latest press releases here. 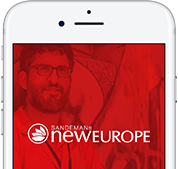 If you have any press-related questions for SANDEMANs NEW Europe, please see the Frequently Asked Questions here. Additionally, you can also get in touch by writing to us at press@neweuropetours.eu. SANDEMANs NEW Europe has written to the Amsterdam City Council (the Gemeente) demanding that they repeal the discriminatory intention to ban free tours. Locals and visitors alike joined forces in Berlin on Tuesday to help pick up litter around the popular Tiergarten park. "SANDEMANs offers fantastic free walking tours…. This is a great option for travelers on a budget and often offers some of the best guides I’ve had". "Some of the best walking tours we enjoyed during our travels were free walking tours from SANDEMANs".